Wow! 2015 is off to a roaring start!!! 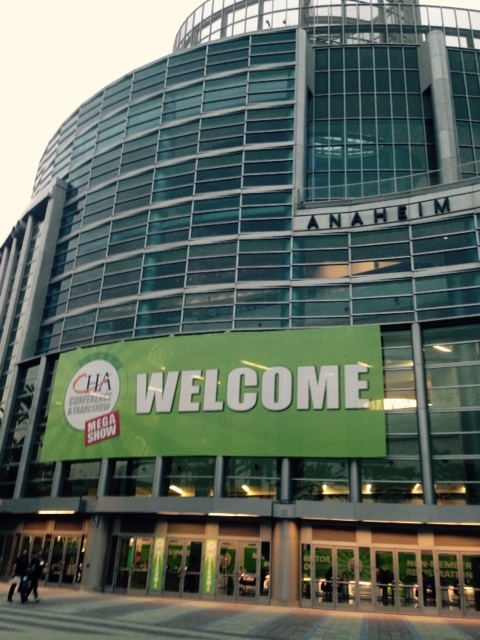 The first week was a flurry of getting ready to head to CHA (Craft and Hobby Association) in Anaheim, CA. I taught a workshop there and it was really cool to see several of my mixed media friends teaching as well. Almost like teaching at a retreat only bigger classes and a whole different audience. 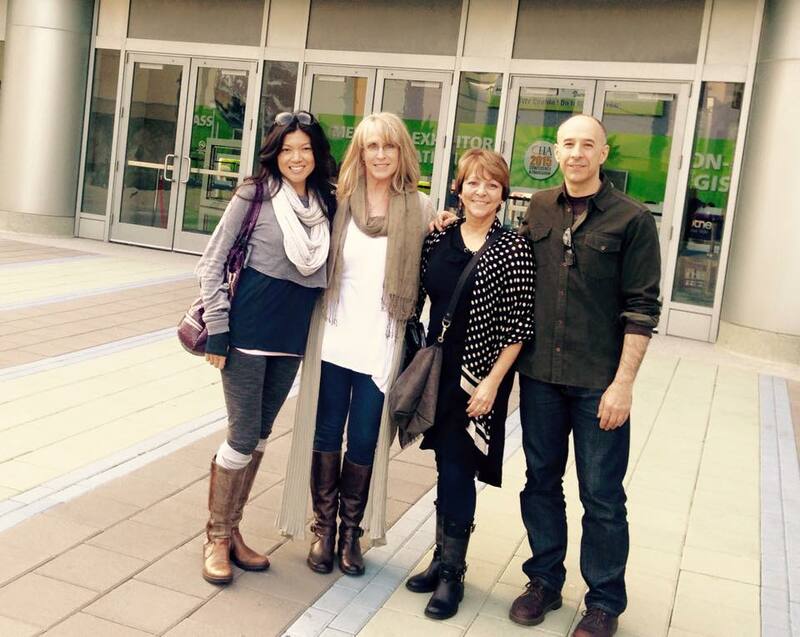 Traci Bautista, me, Mary Beth Shaw and Seth Apter, partners in crime! It’s so great to have good friends that back each other up when doing these types of events. We helped in each others classes, ate together walked the floor together, signed books and DVD’s together and pretty much were joined at the hip lol. Mary Beth, Seth and I asked to have our classes back to back so we could each assist the others in their workshops. It was a long day but so much more fun when shared with friends like this! At the end of the day I was rewarded with the advance copies of my book being overnighted by my publisher to the hotel!!! The really cool thing was that last year at CHA is when I talked to Tonia Jenny (editor) about North Light publishing this book. I’d been working on it for about a year before that and really wanted to find a good fit in a publisher. I’m so thrilled with how they have handled this book and the amount of input I was able to give. 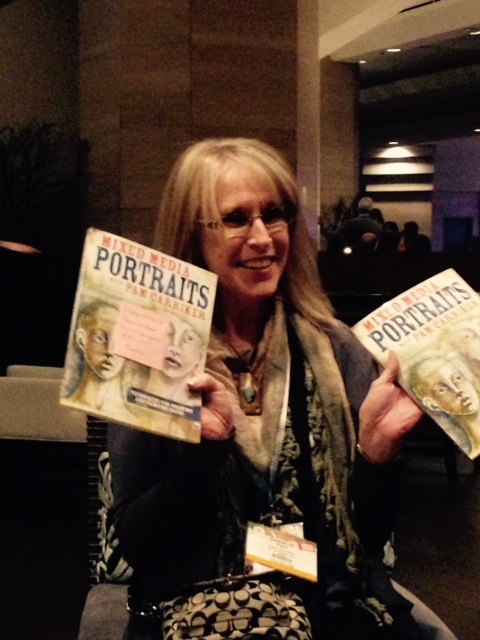 It was awesome to get to see the first copy, hot off the press, with Tonia present! The next day it was book/DVD signings for us and walking the floor with some meetings thrown in between. 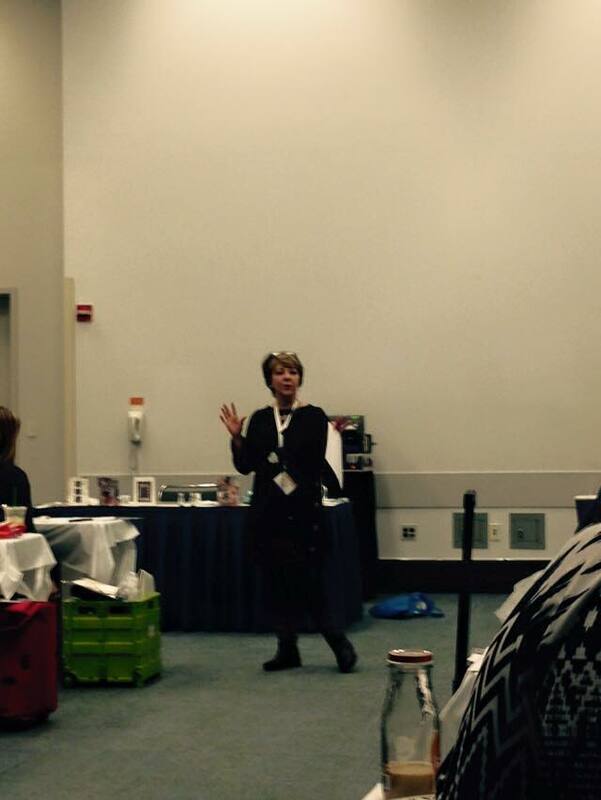 I did a little demoing with the signing alongside Mary Beth. Those of you that follow me on Facebook or Instagram know that I love to knit in my spare time, it’s a great way to relax! 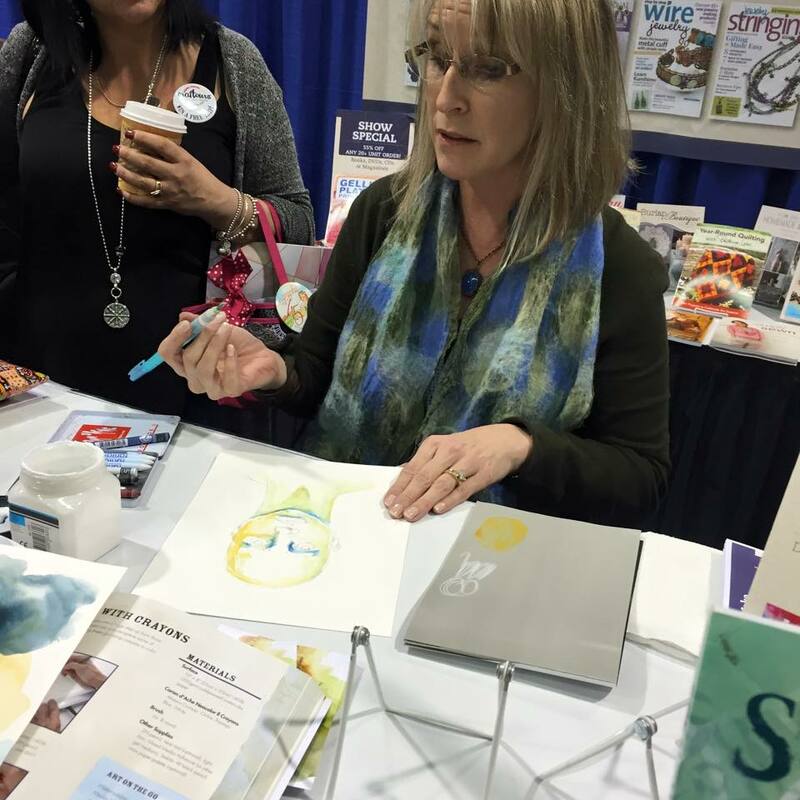 It was very thrilling to be signing the same day as Vicki Howell from Knitting Daily TV. After a whirlwind couple of days, I’m now home and things haven’t slowed down! The first journal spread is from the Documented Life Project I’ve decided to join in for the year. It’s a really great thing if you want to keep on track with your art journaling and there’s a huge following with a great community of artists. 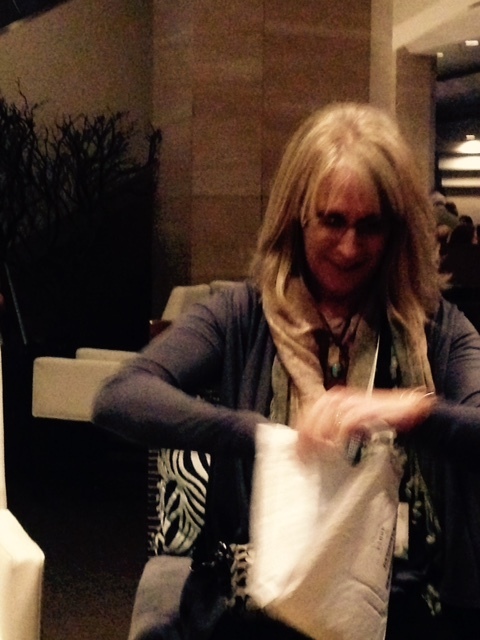 I also gifted myself with a workshop from Gillian Cox. I never get a chance to take classes and I really want to explore my work in new ways so I signed up and have started her online course, Unearth Gather Create. I believe the class is full but you can click on the link to see what classes she has available. I hope your year is off to a great start and that you’re finding time to do what you love! « Ring in the New Year with New Stencils!!! Partners in crime indeed! So wonderful to spend time with you at CHA Pam. And a big congratulations on the release of your newest book!! What an awesome time you all had. 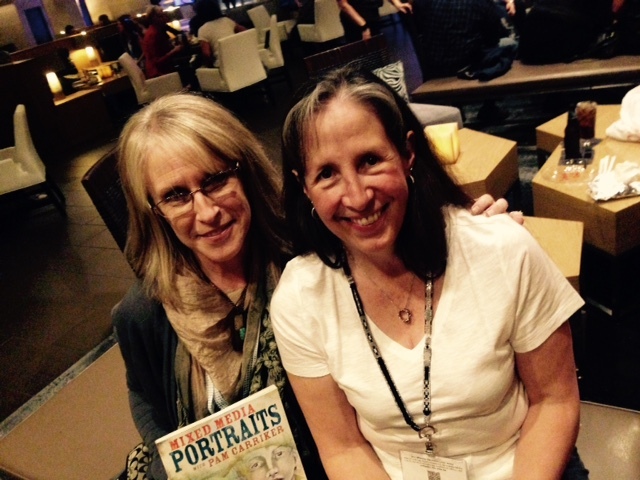 Congrats on having your new book appear like magic at the show! Very clever booking your classes back to back so you could help one another out. Great fun! Welcome to our Documented Life Group. I look forward to your input. Those gals are the best! Pam please tell me where I can buy your new anatomical stencils. I’ve written you sev times, I live in a rural area and things are difficult to purchase here!! Congrats on the book, the CHA show and hanging with friends. Nothing better! Hooray for a fabulous experience at CHA. And congratulations on having your new book in hand and available to the public. 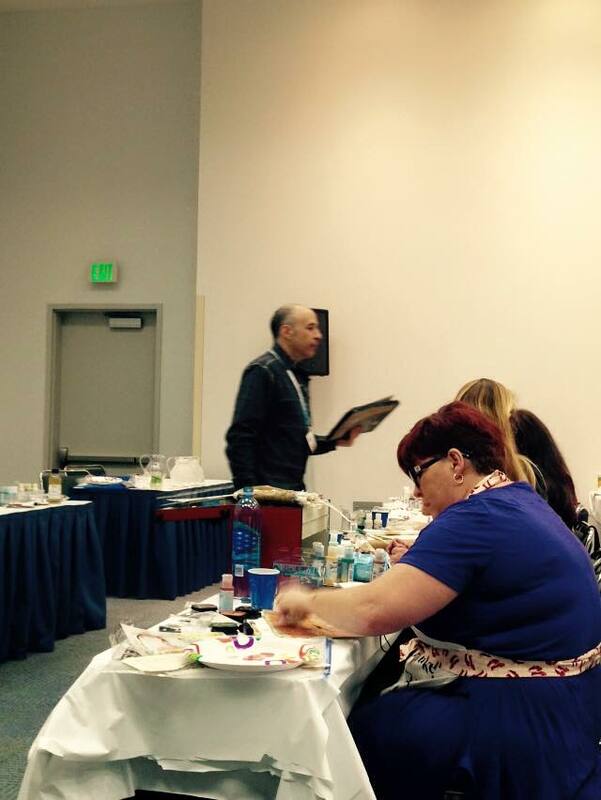 I took your class at Art Is in October 2014 in Stamford. Frankly, I didn’t believe I could walk away from a one day class and be able to draw any kind of portrait. I was completely wrong. Your class was fantastic, and every student walked out with at least one completed portrait, and a wealth of knowledge to repeat their art again and again. Every good thing coming your way is completely deserved! Pam, I have your DVD’s and every one of your books I will surely purchase this one also. the DVD I brought years ago from Cloth Paper Scissors started me on my journey, I hope one day you will be proud of me. Pam it’s so nice to see photos from CHA. Congrats on a great start for 2015. I took your classes at Art is in October and not only loved the class, but learned so much to improve my portrait drawing along with painting. I order your new book from Northlight and am anxiously awaiting its arrival. Again congrats!